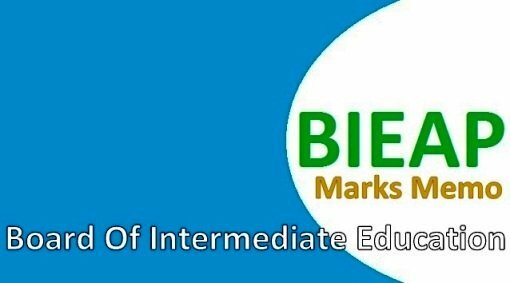 Andhra Pradesh State Board of Intermediate Education (BIEAP) has issued Marks Memos to all inter Students of Junior and Senior Intermediate MPC, CEC and BIPC Group government and private college students, the 1st and 2nd inter completed students can download BIEAP Marks memos via online for the March Examinations at the AP Inter Board (BIEAP) Official Website of. The Students who need to download theirs inter duplicate marks memo they can download the BIEAP Short and the long memo from the BIEAP website. The Board of Intermediate is issue the Marks Memos like the AP Board of SSC (10th Class) the Inter Memos Download Available after the March Examinations with Inter Practicals, every year the AP Inter annual Examinations Started from March, more than 8.5 lacks students are applied to the Andhra Pradesh State Junior and senior intermediate Examinations, the BIE Of Board of Intermediate issue the memos online from March Examinations. Intermediate marks Memos Download available Online at intermediate web site of http://bieap.gov.in ..